ACTION was delighted to have Dr Ricardo Lagos Andino, Representative in Europe of the Central American Parliament, to address our global lunch on January 26th in the l’Atelier restaurant in Brussels. Part of the pleasure of this meeting was the chance to hear from Ricardo Lagos about the great strides made by Central America away from violence and towards democracy over recent decades. At a time when many of us fear for the survival of democracy in the West, it is good to be reminded that there are other parts of the world where progress has undoubtedly been made in the building of democracy. The meeting was also important for ACTION’s own programme to promote regional food reserves. We have always believed that the initiative for reserves was better coming from outside the EU rather than from inside it. EU policy-makers (thinking back to butter mountains and wine lakes in the last century) often shy away from the notion of food reserves. As for the idea of releasing food onto the market when prices are high and replenishing the reserve when food prices are low, they find this also a difficult notion to accept. We are proposing a system of food reserves that satisfies the demand for ‘sustainability’ – a concept which has become almost a mantra in parts of the EU. Our system could be virtually self-sufficient, in a financial sense, once it has been established. The food released onto the market would be sold for more than the food bought up to replenish the reserve. But despite the financial sustainability of our proposal, some officials remain suspicious of selling food before a crisis occurs. They seem to prefer to wait until a food crisis has exploded and then to give food away once people are starving. It is still the case, for instance, that DEVCO’s idea of a reserve run by ECOWAS involves food being given away rather than bring sold on the market while prices are still at a level that ordinary people can afford. If food is sold before a crisis, prices will remain affordable. Whenever it meets people from the Commission and the Parliament, ACTION has to repeat its arguments from scratch. Although we have made significant progress and have won support from a wide spectrum of MEPs from various political standpoints – EPP, SED, Green and ALDE – our proposals have so been juggled between the Parliament and the Commission that they have rather ended up in limbo. 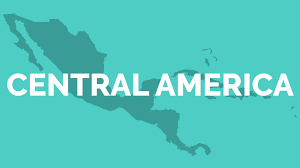 But now a proposal for a system of food reserves (alongside food banks) is being considered both by the Central American Parliament (through which it has been presented to the member states) and by Eurolat. The latter organisation is the bi-regional assembly of Latin American and EU Parliamentarians. The Economics and Trade Committee of Eurolat will meet in Rome in May 2017. We hope that it will adopt a draft resolution on food reserves. If it does, the draft resolution will be passed on to a plenary meeting in September. If it is further adopted by the plenary, Latin American governments and regional organisation could then be encouraged to take action and set up food reserves on a pilot basis. We are also hoping that European donors may be willing to contribute some of the required investment. It is certainly right that the initiative for a food reserve would best come from other regions of the world themselves rather than from the EU itself. Parlacen and, through its mediation, Eurolat, offers a chance for countries in Latin America to adopt aspects of EU practice in the sharing of sovereignty through their own initiative and not because the EU has told or advised them to do so. This is a positive side of the fact that sovereignty-sharing inside the EU-27 is rapidly becoming the love that dare not speak its name. What better than the opportunity to hear the merits of sovereignty sharing espoused by those on the outside who often have a better understanding of the EU than the EU does of itself!